Oliver Lane fruit and savoury loaves are more than just gluten-free bread. 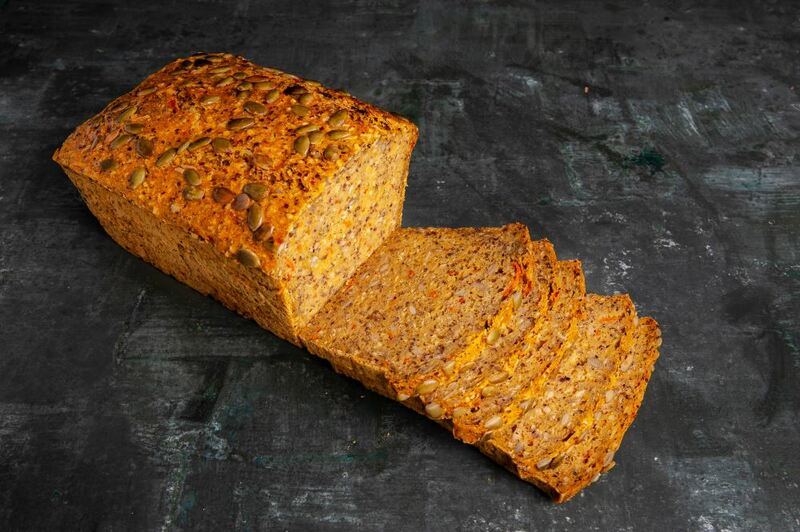 We love making interesting and delicious loaves that everyone can enjoy, because we believe that dietary requirements shouldn't compromise on flavour. Our goal has always been to make fruit & savoury loaves that everyone at the table wants; we're not just the gluten-free option. Handmade in Melbourne, our range includes vegan, free-from and fructose-friendly flavours. We're always trying new ideas in our gluten-free kitchen so you can expect to see different loaves in your local cafe or grocer soon. Join the Oliver Lane food journey where a simple slice of toast becomes a nutritious and delicious meal. Oliver Lane loaves are available across VICTORIA. We’re excited to be supplying our full range to cafés where they’re served toasted with condiments or as part of a creative, delicious meal. You can also find our retail loaves in local grocers and health food stores - take them home to toast and enjoy with butter, jam, vegemite, smashed avocado, hommus...there's so many options with our different fruit & savoury loaves to choose from. The Oliver Lane food journey - where a simple slice of toast becomes a nutritious and delicious meal - proudly caters for all tastes and neighbourhoods. You don't have to be gluten intolerant to want and enjoy our gluten-free loaves.